The start of 2017 was a busy one for recalls, with the Driver and Vehicle Standards Agency (DVSA) issuing national recall alerts for 14 cars. Models affected include the Land Rover Discovery Sport, Range Rover Evoque and Vauxhall Antara. 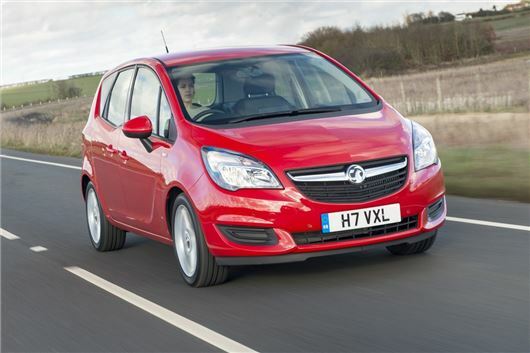 The biggest recall in January was for the Vauxhall Meriva, with 67,142 cars, built between 2010 and 2016, being recalled over a seat belt fault. Vauxhall is recalling the Antara too, over a faulty stop/start motor, which may result in a fire. The recall affects cars built between 2013 and 2015. Toyota has also issued a national alert over faulty parking brakes in the Lexus NX200t and NX300h. Due to the incorrect programming of the brake control module, there is a possibility that the parking brake may not be set automatically when the brake hold or hill assist system is deactivated. The recall affects 9336 cars, built between 2014 and 2016. Another Toyota recall involves the Corolla. Some 1248 cars, built between 2002 and 2003 are being recalled over a faulty airbag. Land Rover is has also issued a recall for the Discovery Sport and Range Rover Evoque. Apparently 4553 cars – built in 2016 – have a wiring problem that will cause electrical arcing and a short circuit. Amazing how a lot of these failures are quite fundamental to the cars safety. These should have been developed and tested to perfection. On some expensive makes as well. Good job Boeing and Airbus don't have recalls. Aircraft have recells! Thank goodness they aren't recalled, particularly when in the air. What about the Yaris Air Bag Recall?